Las Vegas, NV (April 4th, 2018) – PinRaise, the company that connects real estate agents with local clients and nonprofits, announced today that the donations continue, with the help of their esteemed real estate professionals each making donations on behalf of their clients to the nonprofits of their clients’ choice. Dana Roberts of Coldwell Banker Residential Brokerage in Irvine, CA has made one generous donation to Fisher Center for Alzheimer’s Research Foundation on behalf of her clients, Philip and Merrick White, and another to Stand to Reason, made on behalf of her clients, Brian and Morgan Aukshunas. Jason Isley of Seven Gables Real Estate in Orange, CA has made a very generous donation to the Wounded Warrior Project, Inc. on behalf of his clients, Eric and Rika Piper. 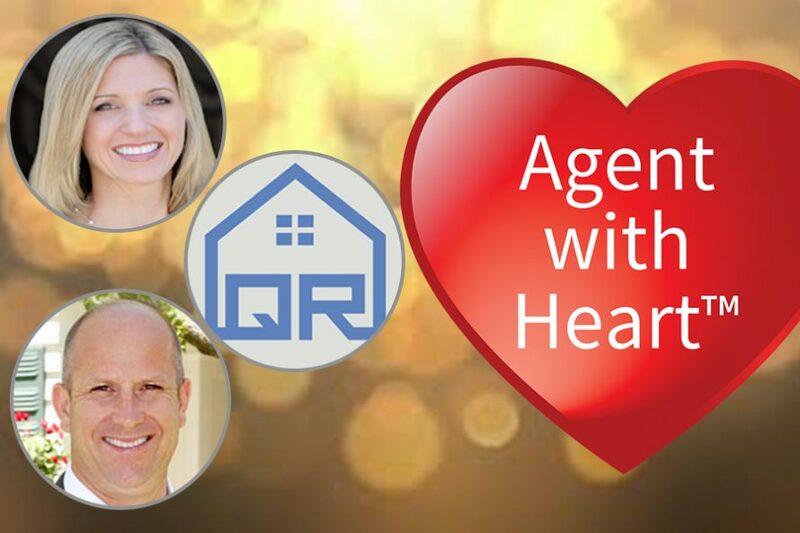 Quinlan Realty in Creve Coeur, MO has generously made 5 donations as a brokerage through the Broker with Heart™ program. Read more about their donations and generosity here. “Special thanks to Dana, Jason, and Quinlan Realty for their incredible generosity this month! Thanks to their kindness we were able to assist multiple nonprofits across the country.” says Mr. John Giaimo, President of PinRaise. “We are truly proud to be partnered with such caring agents as Dana, Jason, and everyone at Quinlan Realty. Without them, none of this would be possible and we would not be able to assist nonprofits in the way we do. I thank each of them for their dedication to giving, and for joining us on this journey to help make a difference,” concludes Mr. Giaimo. To contact Dana Roberts, please call 949-433-6694 or visit www.DanaRobertsRealEstate.com. To contact Jason Isley, please call 714-478-6750 or visit www.JasonIsley.com.